The organization they belong to may have changed (SWOVA has now become EPIC), but the wine is still the same great product we are used to. On the weekend of May 26-27, 2012, Sip Into Summer will be returning offering a casual celebration of award winning wines and fresh herbs for all those visiting the participating wineries. 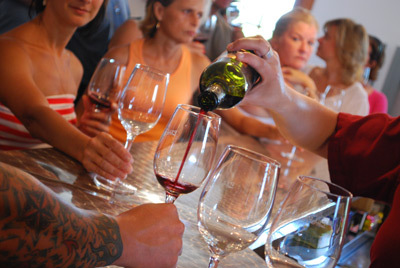 Participating at each winery ranges from $5 to $7. We encourage you to spend the entire weekend saying hello to all our member wineries, where each stop will feature a different herb-themed food pairing, prepared by professional chefs, matching with a premium wine selected to highlight the flavour and aroma of the herb. As always, we encourage you to tell them WindsorEats sent you and said hello!